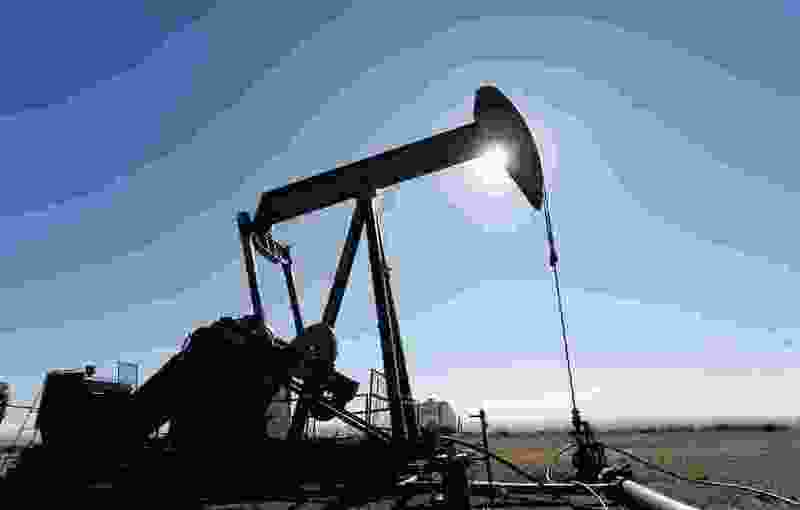 (Trent Nelson | Tribune file photo) Equipment in the oil fields of the Uintah Basin, southeast of Vernal, Utah. The Bureau of Land Management plans to offer eight parcels in the area for a second round of lease auction in June, after Houston-based Wapati Utah successfully bid on them in December but failed to pay up. The Bureau of Land Management will offer four new Utah parcels of public land at its next quarterly oil and gas lease, centered on the south-central part of the state with a total of 3,708 acres in Wayne, Sevier and Beaver counties. Also to be auctioned at the June 12 online sale are eight parcels in the Uinta Basin that were sold at the December auction to Wapiti Utah LLC, the Houston firm that has taken over the controversial Gasco project. Wapiti, however, failed to pay the $155,000 it bid for the leases, spanning nearly 9,000 acres, so the parcels are being offered again, according to BLM spokesman Ryan Sutherland. The company’s failure to pay up is not considered a violation of the law, officials said, because it made a “good faith” effort to meet its financial obligations by paying the minimum $2-per-acre bonus at the time of the auction as well as a year’s rent and the $160-per-parcel administrative fee. “They will now forfeit that payment as a result of failing to pay the remaining balance of the bonus bid on the required date,” Sutherland said. The environmental group Southern Utah Wilderness Alliance has challenged the sale of Uintah Basin leases before the Interior Board of Land Appeals. The upcoming online auction also offers a single parcel in Idaho. Trout Unlimited raised concerns about two Wayne County parcels to be leased for potential development. The lands are on the Fremont River northeast of Loa, close to stretches of the river occupied by at-risk populations of native cutthroat trout. The group asked for restrictions that provide stronger habitat protection, such as buffers that would bar disturbance within 500 feet of streams and a quarter-mile of trout habitat. Studies have shown that streams near oil and gas development exhibit greater temperature fluctuation, low discharge and elevated dissolved and suspected sediments, Trout Unlimited wrote in its comments.